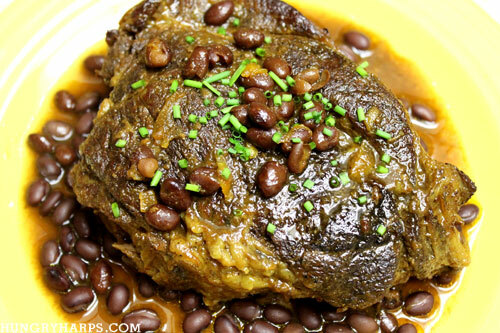 This is completely different than any slow cooker pot roast I have ever tried. I was a bit skeptical at first, but I am now a firm believer in mixing orange marmalade, ketchup, curry and hot sauce together! You must trust me here. 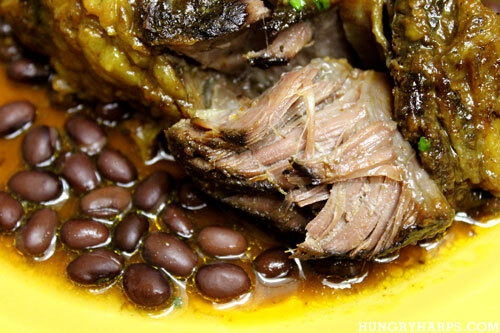 The roast turns out tender, juicy and full of flavors from the islands. Instead of potatoes, this is served with black beans, super tasty! Holy cow - that is absolutely incredible! I'm allergic to commercial curry powders (cinnamon and allspice) but I bet I can find a reasonable substitute! Wowza! YUM!! I love my slow cooker and I love pot roast!